Germany’s finance chief Wolfgang Schäuble thinks that a larger amount of liquidity and higher global debt can only herald a new financial crisis in the coming years. He added that the world could face “new bubbles” because of the cash central banks have invested in their countries’ economies. Schäuble is also concerned about instability affecting the European Union mainly because the problem of non-performing loans has not been properly addressed by banks since the last financial crisis. Schäuble, a longtime Europhile, criticized England’s Brexit vote warning of “demagogues” who claim that we’re paying too much to be part of the E.U. He believes those people helped even more with the European integration. Germany is facing a rise in the number of rightwing politicians and, as Schäuble will leave his government position to join the German parliament as Speaker, 92 new members of the parliament with right wing views are expected to occupy their seats in the German Bundestag. The outgoing finance minister is expected to assure his European counterparts on Monday that the rise of the Alternative for Germany (AfD), which won 12.6 percent of votes for the German parliament last month, will not affect Germany’s commitment to a liberal democracy. he told the Financial Times in a recent interview. He explained that AfD’s backers are just angry at the injustices seen in today’s politics and how the global changes affected them, but we should be more worried about new bubbles in the global economy. 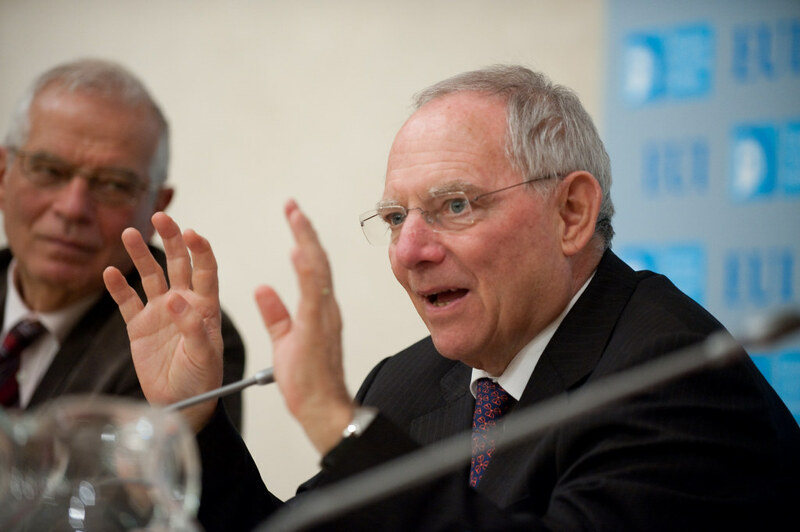 Schäuble, who is one of the lead architects of the Greek austerity plan, noted that the world’s experts warn about increased liquidity and public and private debts. He added that he is concerned about these two matters too.